Thirty people are in hospital and there are fears that more may be unaccounted for after a huge fire raged through the night at a west London tower block. Fire Commissioner Dany Cotton is giving a statement. She said fire fighters arrived within six minutes. She confirms that there have been a number of fatalities. She could not confirm numbers because of the complexity of the building. Firefighters are still tackling the blaze at Grenfell Tower in north Kensington, where hundreds of people are thought to live. Eyewitnesses reported seeing people trapped inside their homes. Eyewitnesses said they saw lights – thought to be mobile phones or torches – flashing at the top of the block of flats, and trapped residents coming to their windows. 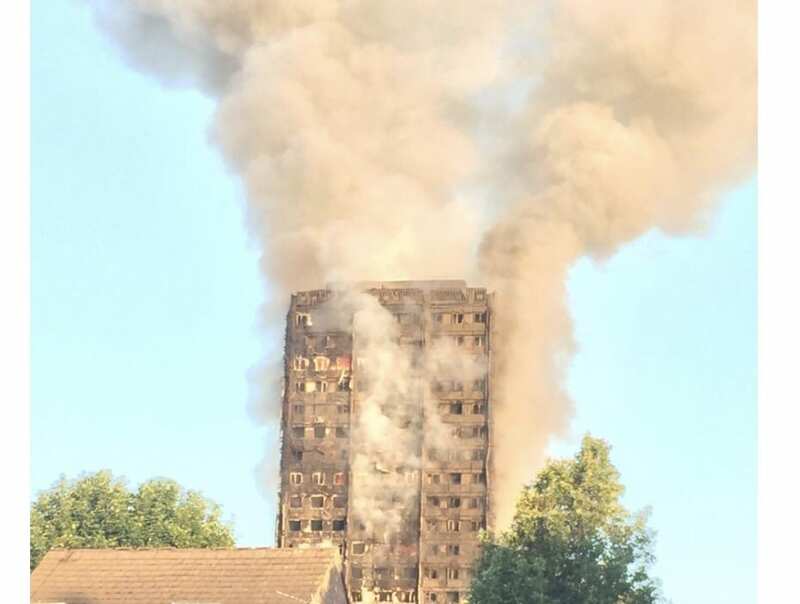 A 24-storey tower block on Latimer Road in west London has been engulfed in a horrifying blaze, with reports saying people have been trapped in flats in the upper stories. The fire, which broke out at around 1am, is believed to have started on the 4th floor, reportedly due to a faulty fridge. The massive fire has engulfed the Grenfell Tower in North Kensington from the 2nd story to the top floor, the London Fire Brigade has tweeted. It added that at least 40 fire engines and 200 firefighters have been battling the blaze. A sizeable number of the block’s residents are Muslim, and many might have been out of the building as it is during the holy month of Ramadan. However, many others were still reportedly inside when the fire started, he added. Meanwhile, eyewitness accounts have been pouring in, with reports claiming women and children were among those trapped on the burning floors. The fire brigade is expected to give an update soon; areas of the building are still on fire, prompting concerns it may collapse. About 30 flats in the surrounding area have been evacuated and emergency rest centres have been set up for those told to leave their homes. Police have set up an emergency number for people concerned for friends and families on 0800 0961 233. A resident group repeatedly warned of a fire risk at the tower, claiming that a major fire had been narrowly averted after a power surge in 2013. The building recently underwent significant, multimillion-pound renovations that concluded in early 2016. The borough of Kensington and Chelsea said the cause of the fire will be investigated, but for now the focus is on supporting emergency services in their rescue and relief operation.